NEO has been touted as the "Chinese Ethereum," and it's one of the largest cryptocurrencies by market cap ($2.2 billion). Although NEO prices have dropped 53% so far in 2018, analysts are starting to get bullish again. 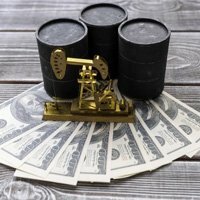 The boldest NEO price prediction comes from Craig Cobb of TraderCobb.com. 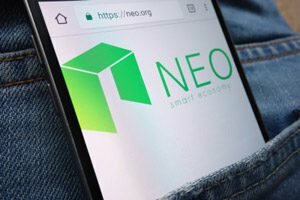 He expects NEO to trade for $88 by Dec. 31, 2018. If it does, that would be a profit of 148.79% from today's (July 16) price of $35.37. Already, 20 homes around the globe have been sold in Bitcoin-only transactions, and those numbers could be on the rise. One real estate agent who brokered two of these deals believes cryptocurrencies will account for 25% to 30% of real estate sales in five years, according to a WVXU.org report. It makes sense, as smart contracts will revolutionize the real estate industry. Property records and transactions can all be recorded using blockchain technology, cutting out intermediaries and saving time. Switzerland's primary stock exchange could eventually offer cryptocurrency trading on its new SIX Digital Exchange, according to CCN.com. While SIX hasn't confirmed it would allow crypto trading, it does have plans to launch a crypto asset exchange by mid-2019. It will allow clients to tokenize traditional securities. The next step could be to allow the buying and selling of coins and tokens. A spokesman for SIX said it would "be able to add various digital assets," according to the CCN report. Finally, Forbes just released a report about the 10 industries blockchain is going to disrupt. Banking and real estate are obvious, but the other eight may surprise you. The other industries include healthcare, politics, the legal industry, security, government, rentals and ride sharing, charities and aid organizations, and education.